Celebrating the capital’s iconic transport network and making the London commute fun / more fun. 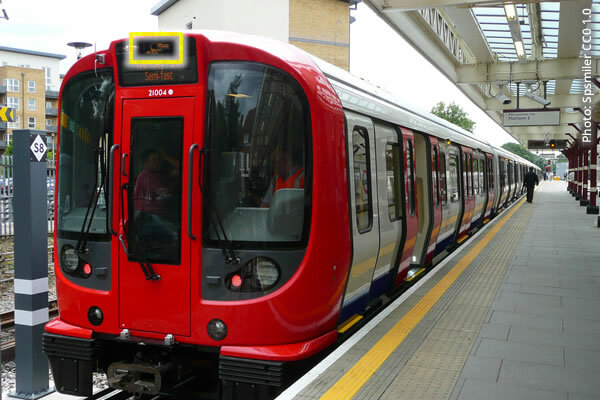 A tube train is nominated each day to be #TubeOfTheDay. It’s tweeted by @tubeoftheday and shown on this page. If you see it – tweet using #TubeOfTheDay or reply to the main tweet from @tubeoftheday. The daily selection is made at about 6.45am on weekdays / public holidays, 7.30am on weekends. @tubeoftheday also tweets rush hour tube status updates (maximum 6 per day) so follow it for the latest news. The yellow box shows where to look for the train number. If looking out for the train, stay safe & legal!